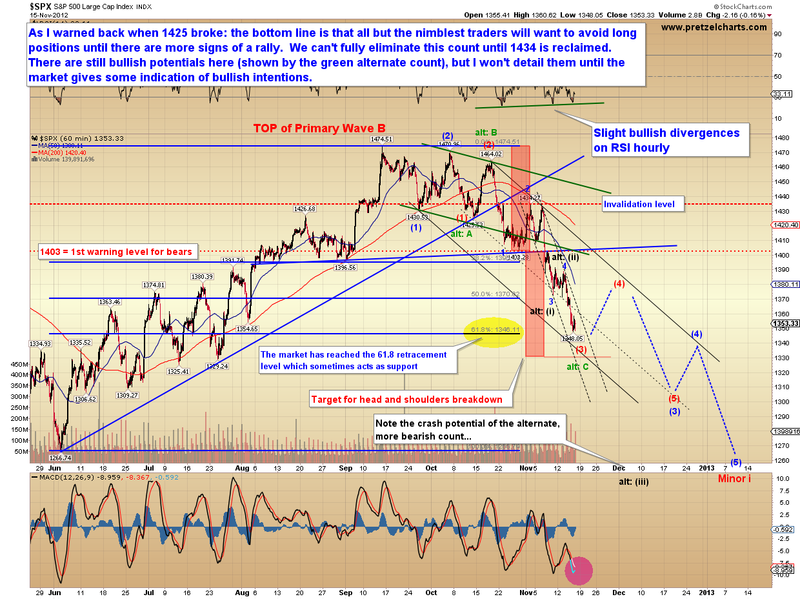 Last update, I warned that the odds strongly favored lower prices, and the market has obliged. 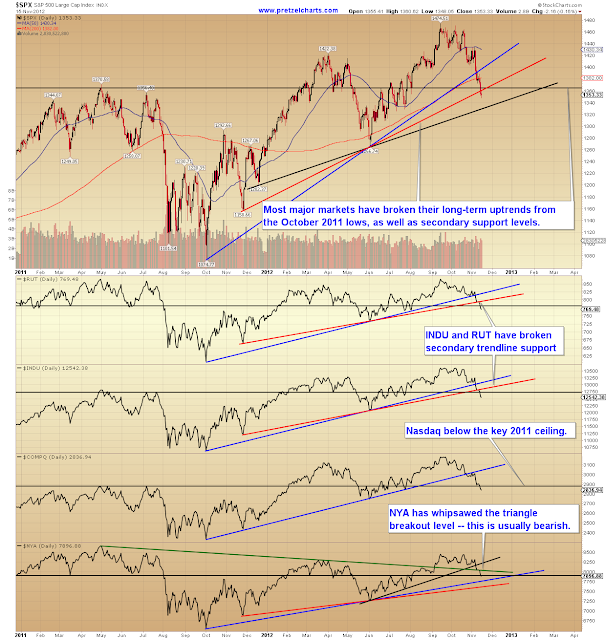 Most markets are now below major support levels and the decline has given little sign of abating. As I've warned for several updates, this is not the type of market to front-run bullishly: this market continues to meet the definition of trying to catch a falling knife. At this point, I'm waiting for price to actually find some type of bottom before considering holding any intermediate long positions. 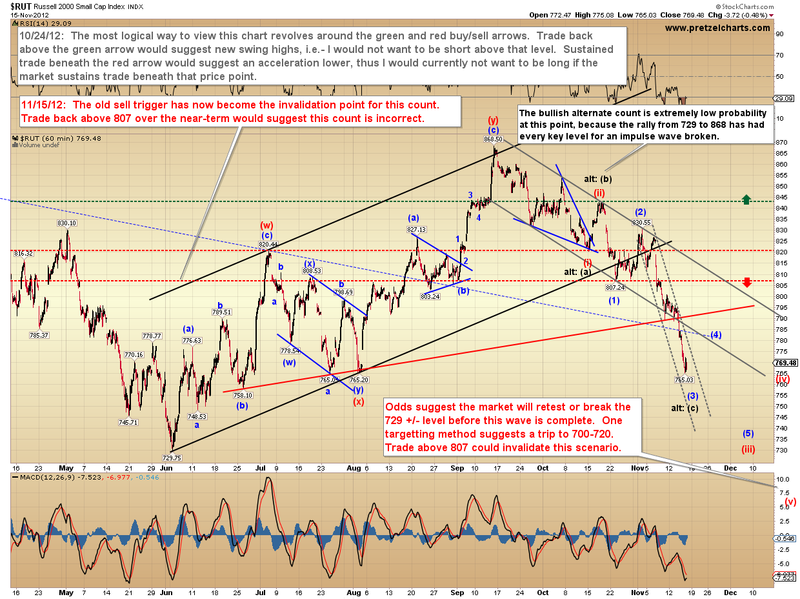 The Russell 2000 (RUT) chart emphasizes why the bullish wave counts have now become lower probability. 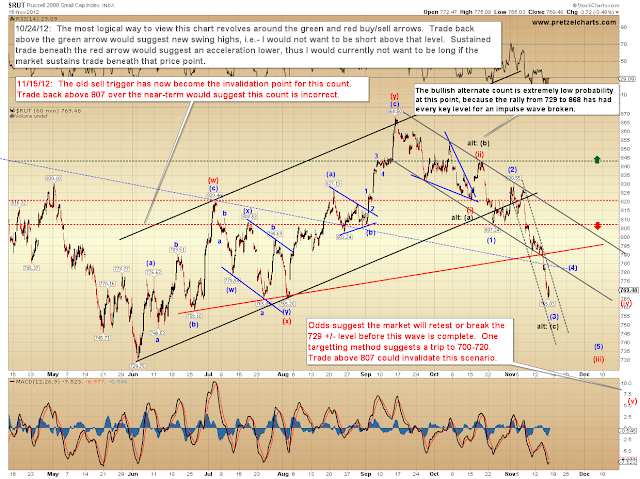 With the key level breaks that have occurred in RUT, it is all but impossible to count the summer rally as an impulse wave -- which suggests that rally will be fully retraced before the market finds a meaningful bottom. Note that the market may be about to enter a fourth wave chop zone (with an outside shot at something more bullish) and trade above 1359 would open up potentials for at least a short-term bottom. From an intermediate perspective, bulls now need to reclaim 1403 (not coincidentally, this is the same level I noted early last week as a bearish sell trigger) to begin regaining control. The market is, in fact, oversold by some metrics. Does that mean an oversold rally could begin at any moment? Absolutely. While nobody likes to miss a turn, does the "hope" of an oversold rally actually represent any kind of winning trading strategy? Nope. 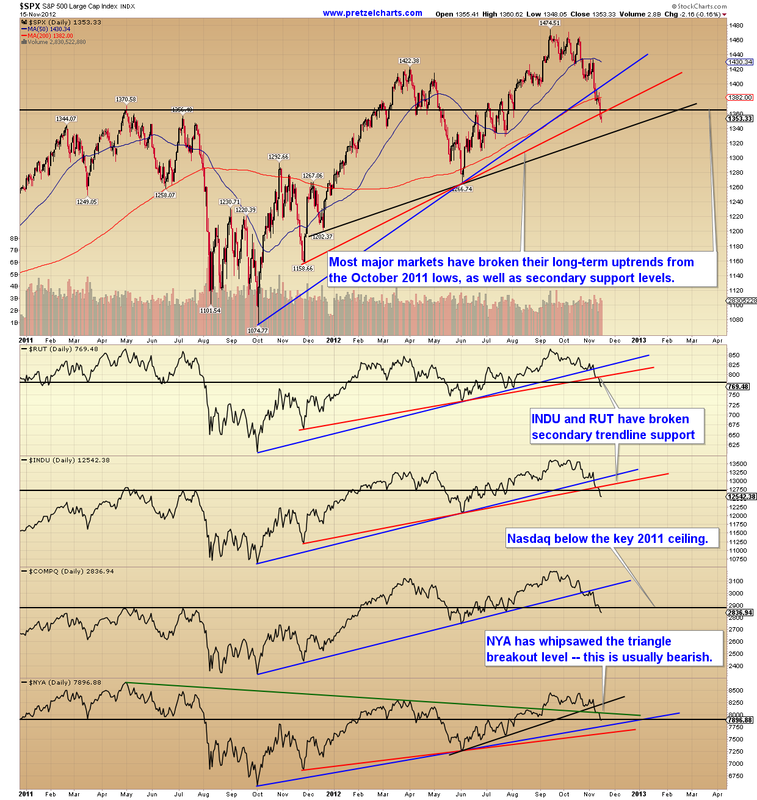 The bottom line is that bears have broken major support levels and the trend remains down. There are some indications that the market may be ready for a fourth-wave relief rally, but from an intermediate perspective, it continues to be a dangerous market for longs. Trade safe.